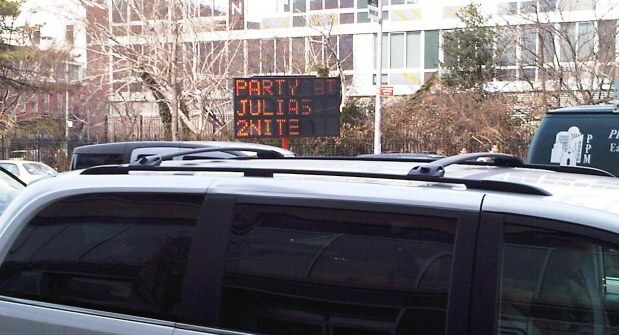 Peter Ha just spotted this crazy street sign at Houston and Bowery. Someone will probably get nailed for this – NYC doesn’t take kindly to folks meddling with their infrastructure. It will be a silent killing, though – not all loosey goosey like the Boston LED-alien-flipping-the-bird scare.